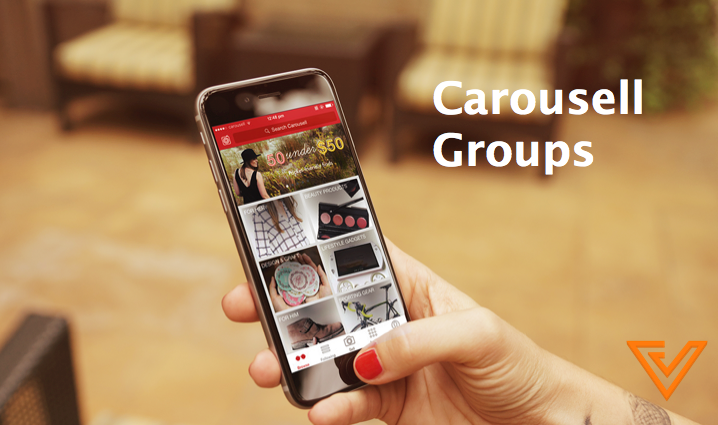 Carousell, one of the largest mobile marketplace in Singapore, has just announced a brand new feature to all Carousell users called Carousell Groups. 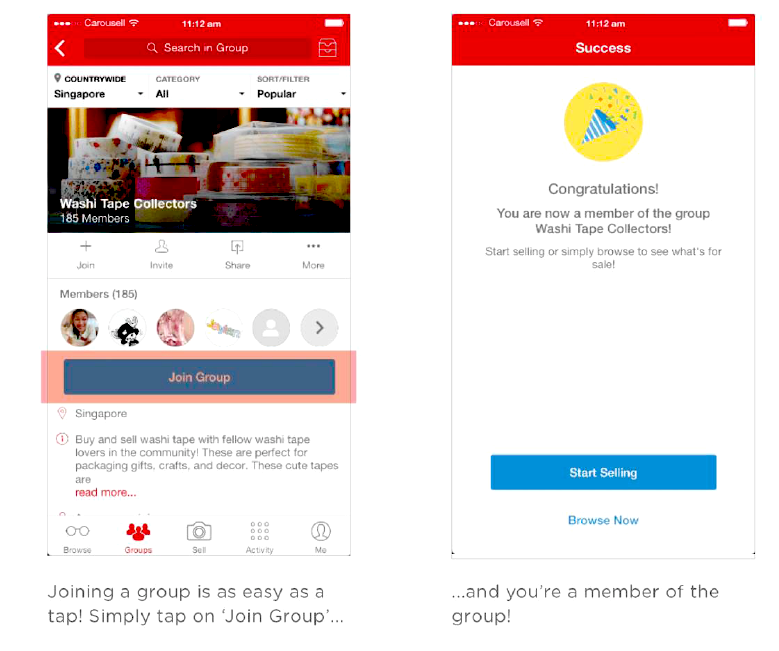 Carousell Groups work very similarly to Facebook groups: you can discover various groups on Carousell and join those that might be relevant to you, and get notified when there are new listings within the group. Some examples of groups that Carousellers have set up include brand specific groups like “Apple Fans” and “Charles & Keith”, or even place and location specific groups like “National University of Singapore”. According to the Carousell team, the Carousell Group feature is a natural add on for the app as they have seen Carousellers forming little communities of their own ​​​on social networks and messaging groups​​​ – whether it’s to share cool finds or just keep in touch with other users of similar interests. On top of that too, various Facebook groups have been set up for the purpose of buying and selling. It’s a sign people want to buy and sell with the simplicity of social networks like Facebook, but they are not ideal for buying and selling since that’s not the core utility of Facebook. Carousell Groups is the team’s answer to this phenomenon too. (Update: 13th January 11:20am) According to Carousell, there are over 26 million listings with more than 8 million listings successfully transacted. On average, more than 50 new listings are added every minute. 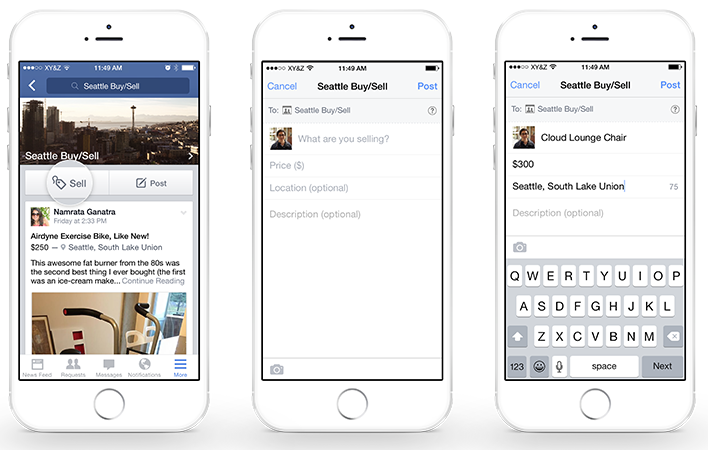 Earlier in February last year, Facebook introduced its buy and sell feature to Facebook groups, though it is only accessible to approved groups. For an approved “For Sale” group, admins are able to activate the Sell feature when creating a post. They can add a description to what they’re selling, include a price and set a pick-up and delivery location. We haven’t seen a lot of groups with this feature enabled yet – so users in Singapore are probably just posting their items on normal groups. Will the newly launched feature attract the attention of Facebook? Maybe, but hopefully the title of this article does.